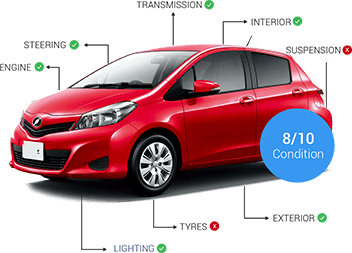 Buy cars online through Pakistan’s #1 automobile website. PakWheels offers motorcars from the most popular makes such as Honda, Toyota, Suzuki, Nissan, Mazda, Daihatsu, Mercedes, and BMW. You can choose from thousands of used vehicles and buy your dream car within the right budget. Check out used cars for sale in your city. Moreover, Sell cars online and avail the opportunity to meet thousands of potential buyers for your vehicles. Upload pictures, set the right price, put your location and provide all other information without any hassle. You can also buy Car Parts and motorcycles online in Pakistan.